Butte surgeon Dr. Frank Raiser says air ambulance companies in Montana provide a crucial bridge to high-level care. "It allows us to get patients to the care they need quickly and efficiently, and with careful use and regulation it should be a real asset to us living here,” Raiser said. There were close to 3,000 air ambulance flights in Montana last year. Butte resident Amy Thomson was on one of them. In January of last year she found herself on a fixed-wing air ambulance, curled up among the medical bags in the back. Her two-month-old daughter Isla’s heart was failing, and the closest hospital that could help her was in Seattle. Thomson watched as Isla was placed in a small box strapped to a gurney on the plane. Amy Thomson holds two-month-old Isla in Seattle Children's Hospital. 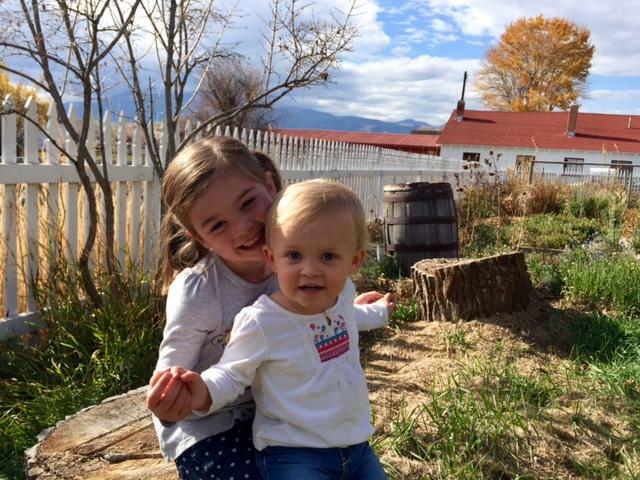 When the Thomson family learned Isla heart was failing, they took an air ambulance from Butte to Seattle to get medical care. Seattle Children’s Hospital saved Isla’s life. Thomson says she’s a million dollar baby, and that she has the medical receipts to prove it. Her family’s health insurance took care of all costs beyond her deductible - except for the air ambulance ride to Seattle. The way the Thomsons read their insurance plan, they thought any emergency medical transportation was covered. But it turns out, the air ambulance company was out of their network, and they got a bill for $56,000. The Thomson family felt the insurance policy was misleading about what services were covered in their plan. At the time they needed one, their insurance company PacificSource had no in-network air ambulances services providers in their area. 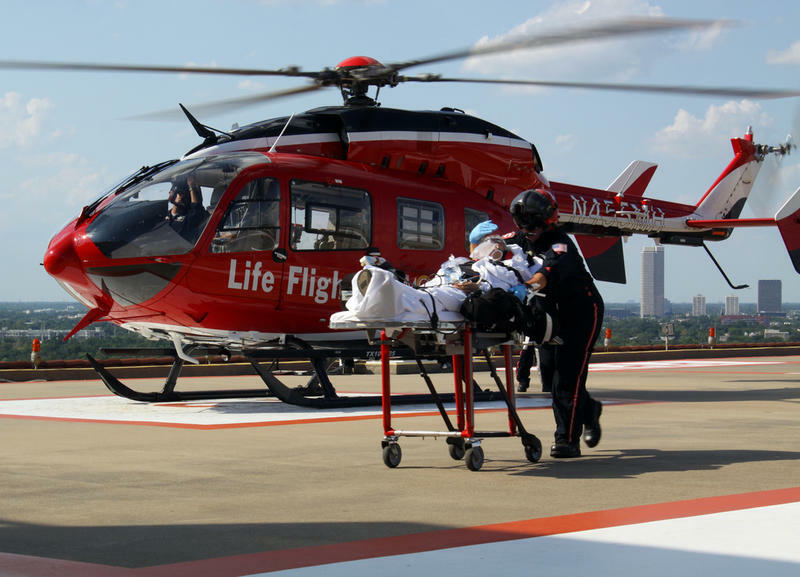 Air ambulance companies can have a hard time getting into insurance companies’ networks, says Rick Sherlock, president of the Association of Air Medical Services, based in Virginia. “I think what you have to look at is that negotiations between companies and insurance companies takes place when there is good negotiations on both sides. In situations where there may be only one or two insurance options in an area, it's harder and harder to negotiate ... on a level playing field,” Sherlock said. There are only three health insurance companies operating in Montana, and that means they have a lot of negotiating power to press for low prices from the at least 14 air ambulance companies that operate in the state. And Sherlock says it’s not always possible for the ambulance companies to reach in-network deals that allow them to stay profitable. “So those cost drivers are there to maintain readiness to respond 24 hours a day, seven days a week, 365 days a year,” Sherlock said. A survey of air ambulance companies this fall found that they charge at least $8,500 just to lift off, and then up to $133 per mile. Some air ambulance companies offer memberships. People can pay an annual fee, and then face no costs if they use that company’s services. But that doesn’t always work. “The problem with the air ambulance membership programs is we have multiple air ambulance providers doing business in Montana,” legal counsel for Montana’s insurance commissioner Jesse Laslovich said. He says patients don’t always have control over who picks them up, so they could pay a membership fee to one company, but still face a huge bill from another. The membership programs work a lot like insurance, but that doesn’t mean the state insurance commissioner can intervene on behalf of consumers. 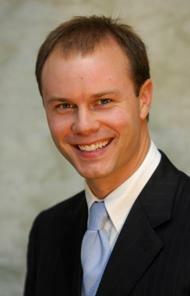 Montana Insurance Commissioner's legal counsel Jesse Laslovich. Laslovich says that needs to change. Tomorrow, an interim legislative committee will spend the morning talking the issue over with Laslovich, doctors, hospitals and representatives of air ambulance companies. He says it’s a tough issue, because states can regulate some medical aspects of air ambulances, but federal laws prevent states from handcuffing aviation rates, routes and services. “And in this instance it is bad judgment to make the argument that the market will resolve itself, because it will be a glaring exception to what we're doing when it comes to the delivery of healthcare,” Laslovich said. The interim committee’s goal is to figure out how to prevent giant, unexpected ambulance bills like the one Amy Thomson in Butte got when her daughter’s heart was failing. She ended up not having to pay, but only after a lot of hassle. She had to file multiple complaints with her insurance company, PacificSource. The company paid an out-of-network allotment of $13,000 but said after that there were no further benefits available. Pat Thomson, Amy’s husband, found a lawyer. PacificSource did not respond to Montana Public Radio’s requests for an interview. The experience prompted the Thomsons to buy a membership in an air ambulance company. Isla Thomson with her older sister. Isla turned two years old this November. Watch the Economic Affairs Interim Committee hearing about air ambulance services here. This report was made possible, in part, by a grant from the Montana Healthcare Foundation.